I worked in NASCAR as a publicist for one season. Frankly, one season of racing on the circuit was all I could stand even at 25 years old. 32 weekends of travel, working all major holidays and one day a week off, which was usually a Monday that included traveling back home to do laundry before doing it all over again starting on Thursday. I can’t tell you how many unoriginal “quotes” I heard from drivers, pit crews, owners and the like. Most of them said stuff like, “my job is to go fast and turn left.” I would look at them and say something like, try again you can do better. And usually I could get a better quote out of the subject after that. Today was a day of firsts. This week I will turn 40 and I’m going fast and turning left. 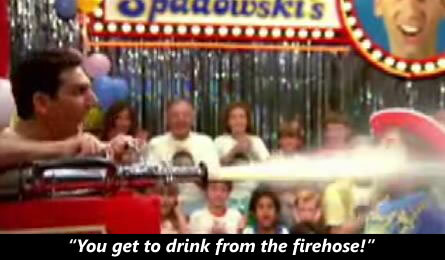 And for another overused and unoriginal expression, I’m drinking from the fire hose.